While most musicians release a few singles before their album hits stores, Laidback Luke challenges the status quo by releasing ‘The Chase’ with GTA as the second single off of his new album FOCUS, which dropped back in November on Mixmash Records. ‘The Chase’ is a beautifully crafted tune that features euphoric vocals from the U.S.-based singer/songwriter, Aruna. 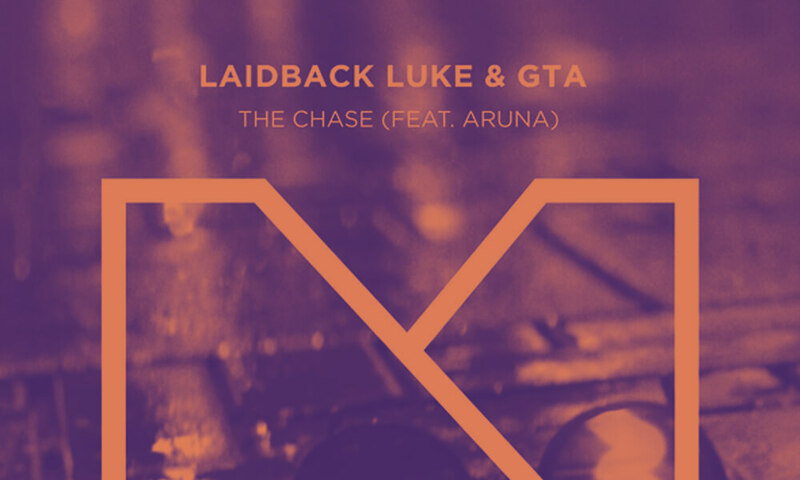 ‘The Chase’ combines Laidback Luke’s diverse house sound with GTA’s signature vocal chops. If you haven’t already heard this one be sure to check it out and give it a purchase! Alongside the official release of ‘The Chase’ comes a remix pack that is just as versatile as one could imagine from a Laidback Luke release. The pack includes remixes from CMC$ & Pyrodox, KANDY & Herve Pagez, Cesqeaux & Mike Cervello and many more. Listen to the remix pack via this link. With the release of ‘The Chase’ also comes an extraordinary music video. An aspiring artist is going to a Laidback Luke show to not only dance, but also to meet Luke and introduce him to his ‘Class A’ talent. On his way to the show he runs into a veiled man who drops his glasses and runs away. The artist puts on the glasses and is introduced to an undeniably strange new world. He sees an attractive woman and chases her into the club where they dance together. The video leaves you with an unexpected ending when the woman puts on the glasses and is frightened by what she sees. We’ll leave what the glasses reveal as a cliffhanger and let you see it for yourself! To end 2015, Laidback Luke released his third studio album, FOCUS. FOCUS is an authentic representation of Luke as a person and demonstrates everything he stands for: diversity, quality, and craftsmanship. It reflects the different generations of Luke’s music from his signature techno and house sounds in the 1990s, his Dutch house sound in the 2000s, and his more recent high-energy EDM sound. The 16-track album features collaborations with Benny Benassi, Yellow Claw, Trevor Guthrie, GTA, and D.O.D.